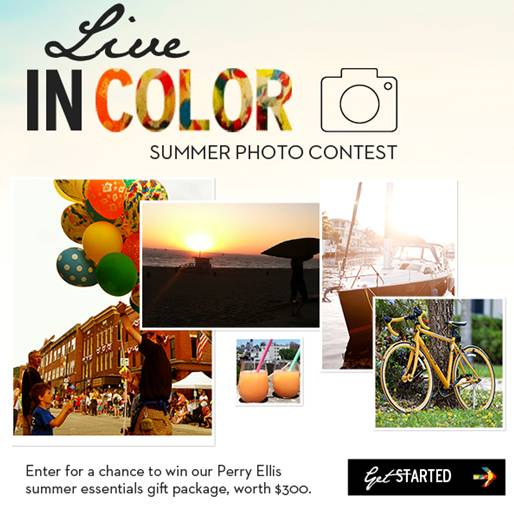 NEW YORK, Jun 25, 2012/ — Show everyone your spirited, colorful, summer inspirations – be it your beachside hangout, favorite summer colors, ultimate cool-down treat etc and you’ll have a chance to win a gift package of Perry Ellis summer essentials worth $300. Simply post your photo on the Perry Ellis Facebook page (http://www.facebook.com/PerryEllis/app_246539368795168). Perry Ellis will select the top 20 images based on originality and inspiration. From there, finalists will have to spread the word to rally votes for their summer inspiration image. The image with the most votes wins the summer essentials package.